Small house situated on .86 acre with a view of the Susquehanna River. This house has a nice size kitchen, enclosed porch and a large living room. Property also has large lawn at back of the house. This house needs some TLC but has the possibility of being a beautiful home. Blue Ridge El School Pre-School, Elementary School / Public 6 6.45 mi. Blue Ridge Middle School Middle School / Public 4 6.45 mi. Blue Ridge High School High School / Public 6 6.45 mi. Susquehanna Community El School * Pre-School, Elementary School / Public 5 7.02 mi. Faith Mountain Christian Academy * Elementary School, Middle School / Private N/A 6.07 mi. Susquehanna Community Junior-Senior High School * Middle School, High School / Public 6 7.02 mi. 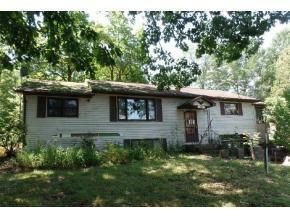 952 Harmony Road, Susquehanna, PA 18847 is a 4 bedroom, 1 bath single family home was sold for $15,900.